CINCINNATI -- Cheap Chinese imports, rapidly changing regulations and every retailer's nightmare: Amazon. Who knew it could get so complicated selling bongs, glass pipes and hookahs? 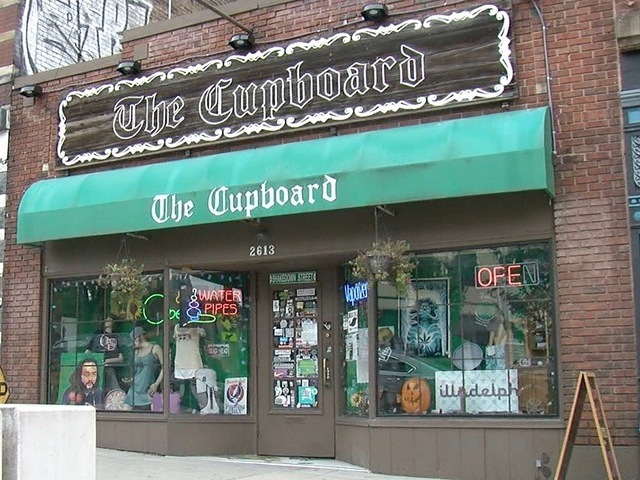 Loshin is a third-generation owner of The Cupboard, a 70-year-old retail outlet that started as a five-and-dime store and shifted to drug paraphernalia in the freewheeling 1960s. Loshin has been working since 2006 to craft a long-term strategy to keep his 10-employee company viable despite increasing competition from vaping shops, online retailers and marijuana legalization trends. "We've outlasted every competitor who moved across the street from us, and there have been many," Loshin said. "We're really at the forefront of the industry, so we know what to sell, how to sell it and really how to execute." The strategy is so clear you can almost see through it. 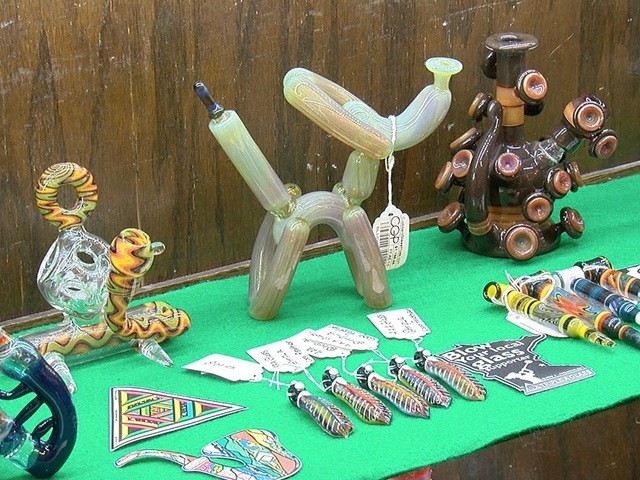 Glass pipes, blown by a growing community of artists whose work is turning into collectors' items, are beefing up The Cupboard's sales volume. "We work with about 1,200 artists," store manager Nikki Tullo said. "No other head shop really does that." The Cupboard runneth over with unusual pieces from colorfully named artists such as LaceFace, Gemini Andy and Banghu Dunman. It sold out its allotment of Illadelph's limited edition Harambe pipe. Tullo said they fetched $1,500 apiece. The Gear Goddess Bubbler by LaceFace and Zach Puchowitz is on sale now for $40,000. Loshin said that's four times what he paid for the black borosilicate glass sculpture of a "female figure sitting atop a throne" of "sculpted gears and twisted horns." Not only does the merchandise appreciate in value, it draws the lasting appreciation of regular customers, said store associate Kelby Savage. "We'll have grandparents, parents and the kids will all come in shop at this shop at the same time and they'll pass down that customer base as if an heirloom," Savage said. "Toys 'R' Us died away because you can go buy its stuff off of Amazon, but you have to come and check out the pipes here." 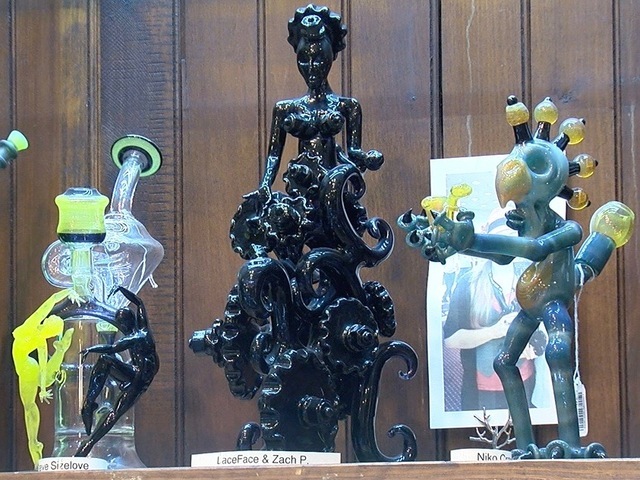 Loshin said The Cupboard's cultivation of lampworking artists dates back to the '70s. 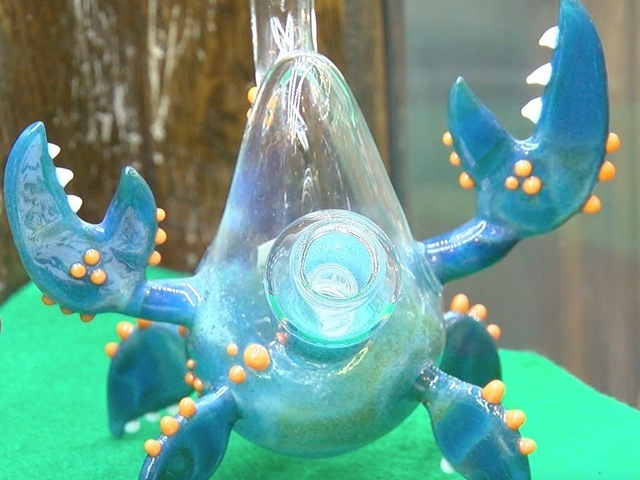 That's when his late parents, Phil and Nancy Loshin, helped launch the career of Bob Snodgrass, a Grateful Dead enthusiast who has been called the Godfather of artistic hard glass in the United States. "My mom was very entrepreneurial and ahead of her time," Loshin said. "She was one of the first people to offer glass products for smoking in Ohio." That history led the bible of the marijuana industry, High Times magazine, to name The Cupboard one of America's top 10 "legendary headshops" in its upcoming December issue. Loshin built on that tradition by featuring artists on its e-commerce site, online blog and several social media sites. "Selling art is very different than selling a commodity," Loshin said. "You've got to find the right buyer for the right piece of art. If you've got several different sales channels it'll help you sell more." Although he wouldn't provide details, Loshin said the company's overall sales have "taken a hit" because of increasing competition from online and brick-and-mortar rivals, and he's heard rumors that Amazon might enter the market for collectible art glass. "This is just one of those times like we've gone through in the past," he said. "Based on our past performance, I would predict that we're going to be around for a very long time."